I’m always on the lookout for a solid, grand-strategy, conquest game. I usually gravitate towards more of a historical experience, but I’m developing a soft spot to the fantasy genre. Luckily, publisher Slitherine and developers Gothic Labs and The Lordz Games Studio just took Sovereignty: Crown of Kings out of Early Access. While Sovereignty isn’t the end-all grand strategy I’m looking for, it definitely hits my soft spot. Since Sovereignty is a fantasy game, you can play the generic fantasy races - humans, elves, dwarfs, orcs, even giants and the undead. 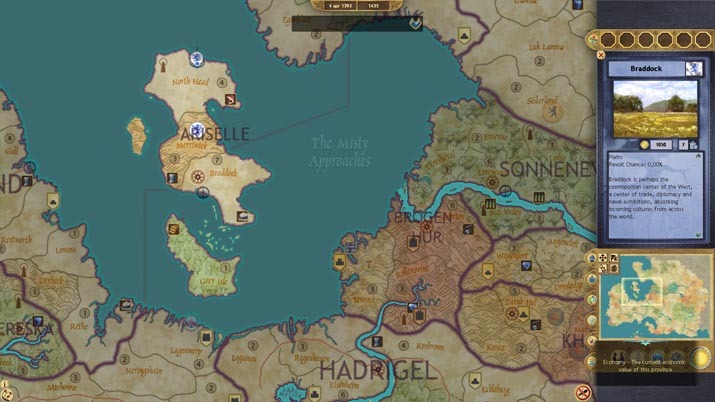 I chose to play as an orc kingdom called the “Iron Barony.” It starts as one of the great powers and is designed for a militaristic-aggressive campaign, which just so happens to be my specialty. 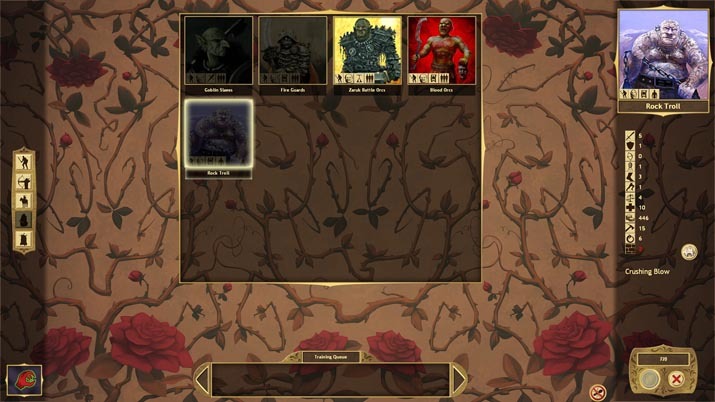 While I had a blast eradicating my enemies and steamrolling their armies, my campaign wasn’t very challenging. So, I picked one of the lesser kingdoms to play next. As I didn’t have enough time to try out all the different races and each unique playstyle, I stuck with the kingdoms that focused on conquering; the timber kingdom Riesental, a moderate power, fit my playstyle quite nicely. I had to absorb some of the lesser kingdoms around me before I was steamrolling again, and once you reached the point of steamrolling, the challenge of running your kingdom diminishes, though you could always raise the difficulty level. The top-down strategic battle system was a delight and my favorite feature of this release. Sovereignty’s combat reminds me of Age of Wonders III, as you can go about it in two ways: auto and tactical. I usually prefer to lead my armies in tactical modem, since it gives you more control over the battle, allowing you to position your army and execute intricate strategies. What’s special here is that there are multiple ways to win besides wiping out your opponent’s armies. The auto-battles aren’t anything special, as it’s all by chance and numbers (by numbers, I mean mathematical numbers). It’s still important to have a decent variety of troops for flanking and counterattacks. Sovereignty boasts very satisfying and polished battle mechanics. The diplomacy aspect however, though not my forte to start with, was not very intuitive. In Sovereignty, you can trade, form alliances, and conduct espionage, but it all felt tedious. There was no easy way to go into another kingdom’s diplomatic and relationship screen, as the only way to view the different kingdoms is by scrolling through the drop-down menu, which had a bulky feel to it. When you keep forgetting the names of your allies and enemies, as I often do, this becomes painful. But if you have a better memory than me, it should be less of an issue. Other than the awkward menu traversal, all diplomatic actions work relatively fine. The AI’s reaction to multiple trade deals, for example, discourages spam trade and instead forces you to think about the perfect deal. You can’t have a proper fantasy experience without some good ol’ lore. Whether it’s story building or special events that occur, Sovereignty delivers. Along with a personalized mission and goals for each playable kingdom, throughout the game there are specialized events. These events not only provide updates to the story and politics of the world, but also affect the relationships between other kingdoms. There is also a great deal of information about some of the provinces in the world. It’s not overtly story-rich; it’s just enough to give you a bit of insight, and it’s a pleasant way to include world building. There’s nothing too special in regards to the visual or audio style of Sovereignty, but hey, if it ain’t broke don’t fix it! 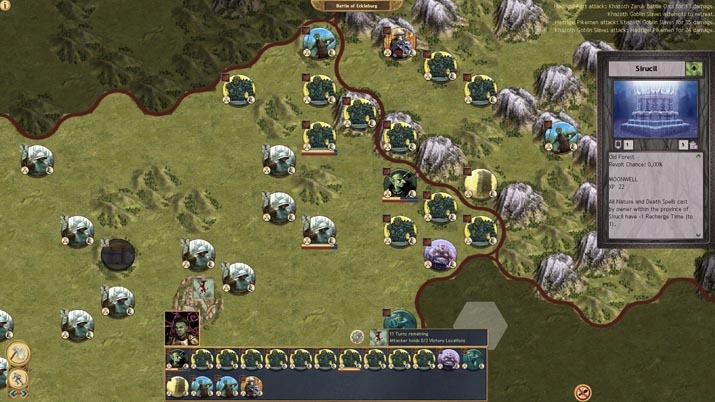 The overall map of the region looks very tactical – it gives off the feeling that you really are the ruler of your empire, looking down and planning your attack. The unit design has the classic fantasy style, not unlike a painting. Illustrative quality is a must, since Sovereignty is not animated (the units and the combat are solely pictures). Tactical combat is top down and flat, and the different terrain is easily distinguishable. The music is what you’d expect a fantasy type to be – nothing too revolutionary there – but when it comes together with the visuals, you get that nice, old-school fantasy feel. Unfortunately, Sovereignty has some bugs, and there are notable crashes and some errors that required me to exit the game to reload. While I only experience this issues in a limited sense, other players have reported multiple crashes, so YMMV.